Home Reviews Action Wolfenstein 2 release date for Nintendo Switch revealed now! 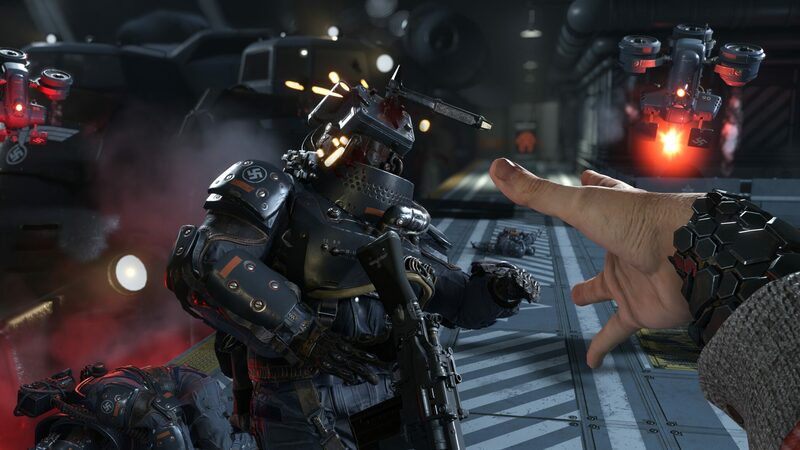 Bethesda Softworks reports that the famous first-person shooter Wolfenstein II: The New Colossus for the Nintendo Switch will go on sale on June 29 this year. The version for the hybrid console from Nintendo was developed under the strict guidance of MachineGames veterans of the gaming industry – the company Panic Button. Wolfenstein II: The New Colossus for Nintendo Switch will offer players the same gameplay for which millions of players loved the Wolfenstein series and a fascinating story uncut. Wolfenstein 2 release date for Nintendo Switch revealed, and due to the low-performance console capacity, the game will go to 30 FPS, and the graphics will deteriorate significantly. However, according to the developers, all this is compensated by a unique control system with the help of gestures, which will allow players not only to immerse themselves in the game but also to enjoy the high accuracy of shooting. Wolfenstein 2 release date for Nintendo Switch revealed, and the developers fully adapted the gameplay to the capabilities of the portable console, so all its owners will be able to get the most from this cool game! Add this to the functionality of the Nintendo Switch, allowing you to play anywhere and control the hero with the help of motion sensors. The first video from the game on the Nintendo Switch is already available. Wolfenstein II: The New Colossus, the best action film based on the results of The Game Awards 2017 and the winner of other awards, will go on sale on the Nintendo Switch for $ 59.99. Do not miss the other Bethesda games already available on the Nintendo Switch: The Elder Scrolls V: Skyrim and DOOM. It seems that the shooter Wolfenstein II: The New Colossus is so massive that it does not fit on the Nintendo Switch cartridge entirely. At least, this is indicated by the online store Amazon, which introduced an updated cover and several screenshots of the game. The cover says that to install a shooter from a cartridge requires an Internet connection and, possibly, you need a microSD card. For the Nintendo Switch, this is not the first time. Crime drama L.A. Noire also took up a lot of space. So much that required a microSD card on a mandatory basis – on the console itself only 32 GB of memory, 6 GB of which are used for system needs. Wolfenstein II: The New Colossus was released on PC, Xbox One and PlayStation 4 in October 2017. The action shooter takes place in an alternative America in 1961, in a world where Germany won World War II. You take on the role of the gallant soldier William J. Blazkowicz, who, together with the resistance forces, is trying to destroy the Nazi regime. Previous articleFinally, it is out! Fallout Miami new mod brings sun, sea and sand to the post-apocalypse!